The Walter Camp Football Foundation has announced the Football Bowl Subdivision National Offensive and Defensive Players of the Week, presented by Generation UCAN, for games ending November 17. 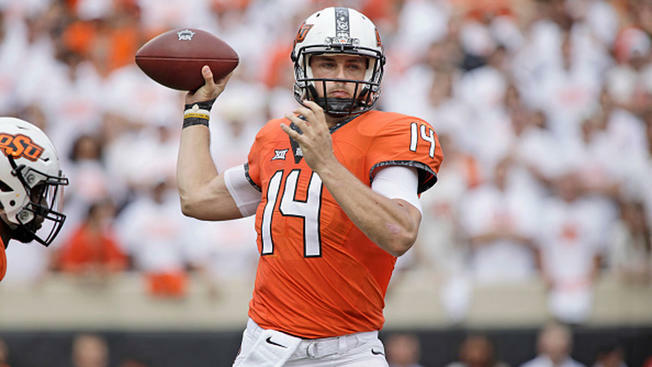 Taylor Cornelius accounted for 444 yards (338 passing, 106 rushing) and six touchdowns (5 passing, 1 rushing) as Oklahoma State defeated ninth-ranked West Virginia, 45-41. Cornelius completed 30-of-46 passes in the victory. Notes: Taylor Cornelius is the seventh Oklahoma State player to receive Walter Camp National Player of the Week honors since 2004. Alohi Gilman recorded eight tackles (4 solo) and had two interceptions as third-ranked Notre Dame defeated Syracuse, 36-3. 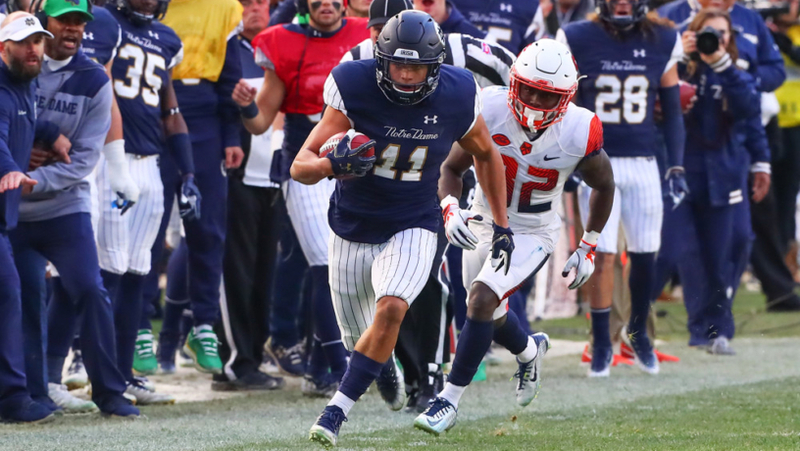 Gilman led a Fighting Irish defensive unit that stymied a Syracuse offense, averaging 44.4 points and 482.2 yards per game entering the contest, to just three points and 234 yards. Notes: Alohi Gilman is the ninth Notre Dame player to earn Walter Camp National Player of the Week honors since 2004, and the third this season, joining defensive teammates Khalid Kareem (Sept. 2) and Jerry Tillery (Sept. 30).